Our friend Anil has recently completed the grueling NYC Triathlon for OLE Nepal. 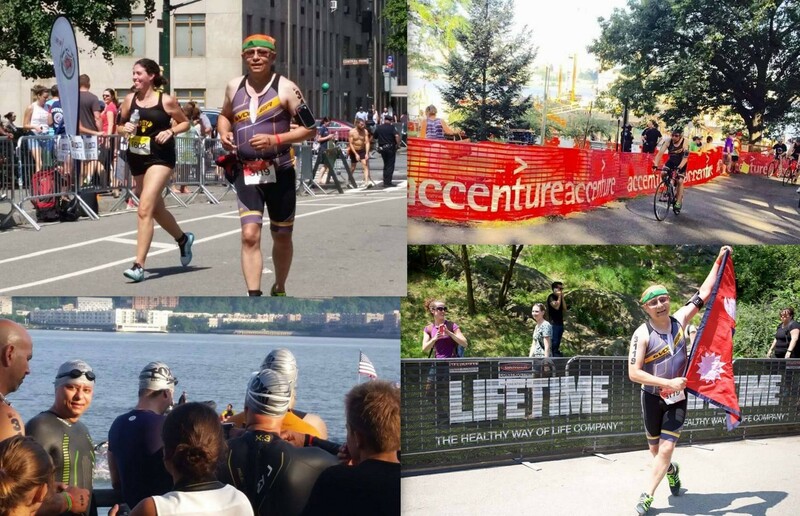 The Panasonic NYC Triathlon which was held in New York City on July 19th, 2015 saw the presence of many enthusiastic participants who ran, swam and cycled through the corners of NYC. Among them was our friend Anil who successfully completed the Triathlon with flying colors. Through this triathlon, he generously supported OLE Nepal’s campaign to rebuild schools in the earthquake affected areas. Many people from his community cheered for his courage and determination. Through this event, he was also successful in involving many people from his community in this campaign. His active role in spreading a word on our campaign, helped us gain many generous supporters. OLE Nepal family would like to heartily thank and congratulate Anil for his hard work and dedication.